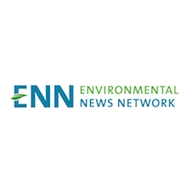 The Environmental News Network (ENN) is one of the oldest, and most unbiased sources of online environmental news on the web. ENN has consistently earned the loyalty of the most respected insiders like the heads of sustainability at Fortune 500 companies, government leaders or leaders of the largest non-profits. We publish on our website, offer rss feeds and distribute a daily e-newsletter to 36,000 environmental leaders. After 15 years in the environmental space, ENN has assembled a remarkable database of experience, content, contacts and understanding of the environment. Why are we not Drowning in Algae Biofuel? Are Electric Delivery Trucks the Future of Trucking?